98 percent of all tooth implantations are successful! We insert pure, unalloyed titanium implants that cause no allergic reactions or tumours. The dental implants are tissue-friendly thanks to a titanium-oxide layer that covers them; this material is not soluble in body fluids, so it does not react with the immune system and does not cause any immune reaction. There is no threat of expulsion if the patient maintains a good oral hygiene. Metal allergy cannot be cured according to our present knowledge. Consequently, it is important to know its symptoms and the available solutions in case of a dentistry procedure (primarily tooth replacement) that involves long-term exposure to metals. Metal allergy may cause gingivitis, bleeding, and ulcers in the mouth. These issues may in turn lead to further problems that may require lengthy and sometimes painful problems. If you experience any of those symptoms, visit your dentist immediately; the metal causing the allergic reactions must be removed immediately in order to avoid the aggravation of the symptoms. If you know that you have metal allergy, it is recommended that you visit a dermatologist to identify the metal(s) that you are allergic to. This helps your dentists choose the right tooth replacement material. Nickel and beryllium are the two most allergenic metals. It is possible to avoid their usage in the metal frames of tooth replacements, and to use precious metal alloys (mostly platinum, palladium, silver or copper alloyed with gold) instead. 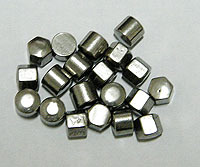 As to non-precious metal alloys, cobalt, chromium, molybdenum, iron, manganese, and silicon are used. If you decide for conventional tooth replacement, a zirconium-oxide frame is the perfect solution to avoid metal allergy because it contains no metals at all. Furthermore, such a tooth replacement looks just perfect. An artificial tooth root (implant) is made of unalloyed titanium. The titanium-oxide layer that forms on the surface of the implant is not soluble in body fluids, so it causes no immune reaction (allergy). 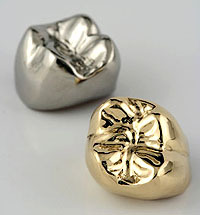 Gold is recommended for inlays because it is easily shaped to precisely match the tooth. Gold can – very rarely – cause allergic reactions, in which case a porcelain inlay must be used. Amalgam is now considered an obsolete material; also, it may cause metal allergy. It is advisable to have your old amalgam fillings replaced with white fillings (or, depending on the damage to the tooth, with porcelain or golden inlays). 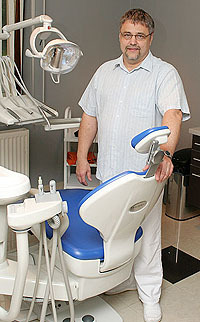 Budadent Dentistry - Mosonmagyaróvár 9200, Kossuth str. u 146 | 1111 Budapest, Zenta u 1. fszt 3.